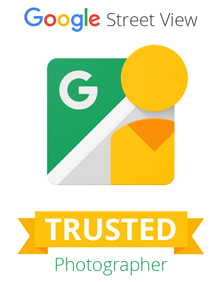 How Google Street View | Trusted works and where the tours appear. People can be captured in the tours but it is best to mention this to any customers in the premises at the time. Faces are automatically blurred by Google as are number plates for privacy reasons. 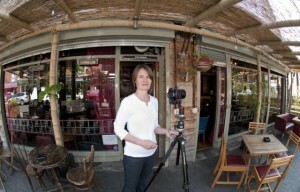 Nicola will also shoot still images to capture the interior and points of interest within your premises. All of this material is then uploaded to Google for inclusion on Google Search, Google Places and Google maps. Businesses pay 360 Spin Ltd directly. There is no fee to Google they even host the 360 virtual tours and images free! Bring your business to life with a 360-degree, interactive tour. Showcase all the details that your customers love. Perfect for restaurants, retail shops, gyms, salons and more! The stills are also available to use on your own site or marketing material. The Google Tours can easily be embedded into your own site very easily with just a few lines of codes that we supply any view point you want can be chosen. The tours can also be added to your own Facebook.